Last week, professor and Dean of Education Anjoo Sikka and Director of Field Experiences Diantha Watts visited Red Hook. We had meetings with principals at four schools and the director of the SUNY Urban Teacher Education Center (SUTEC) in hopes of understanding where the educational needs are in Red Hook, and where Geneseo’s School of Education and its students and faculty might fit in. A little bit of background: All students in the School of Education are required to complete a semester-long student teaching placement, generally split between two schools, in their field of study. It’s a full-time position for students, who are generally seniors, as they prepare themselves for their careers after graduation. Historically, students have completed their placements in schools around Geneseo and Rochester; now, there might be a possibility of partnering with the schools and SUTEC to offer students new experiences here. Naturally, student teaching was our first thought for the School of Education in Red Hook. All schools are open and excited for the idea of student teaching and welcoming Geneseo students into their schools. 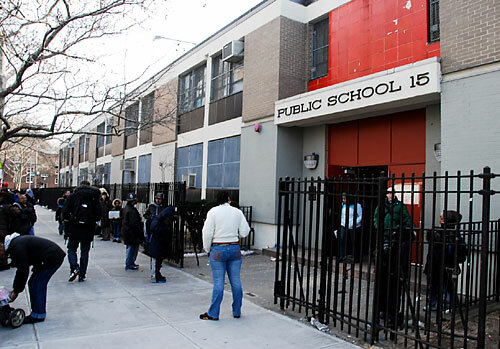 Most of them, especially those in Red Hook, have not had a constant supply of student teaching in their schools, and some of them indicated that they could use student teaching as a way to prepare their future teachers for permanent employment. Student teaching also has the potential to build excitement for current teachers, offer valuable experience for students in these schools, and bring exposure for students in the schools to college, Geneseo, and the overall SUNY system. – Developing a network of alumni educators in (and perhaps beyond) NYC to share resources, visit each other, etc. As I wrote before, a large share of our students in the NYC/Long Island area are in the School of Education – this will be a great opportunity to engage those students here in Red Hook.